Product categories of Jigger, we are specialized manufacturers from China, Gold Jig Machine, Gold Jig Concentrator suppliers/factory, wholesale high-quality products of Mineral Jig Concentrator R & D and manufacturing, we have the perfect after-sales service and technical support. Look forward to your cooperation! Mining Jigger machine belongs to gravity Beneficiation Equipment, which separates minerals based on different specific gravity. 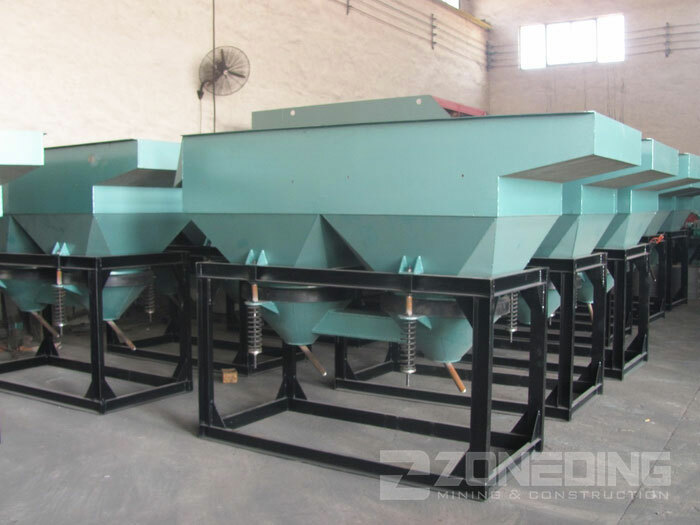 Because of its large capacity, wide range of particles'seperating, simple operation and maintenance, it is widely used for separating gold, tin, titanium, iron, coal and other minerals, especially manganese ore. Recently diaphragm jig is the most popular type in metal ore separating area. Jigs can be divided into bottom pulsation diaphragm jig and side pulsation diaphragm jig according to the different diaphragm position of machine, and based on size of particles, machine can be divided into coarse-particles jig and fine-particles jig.